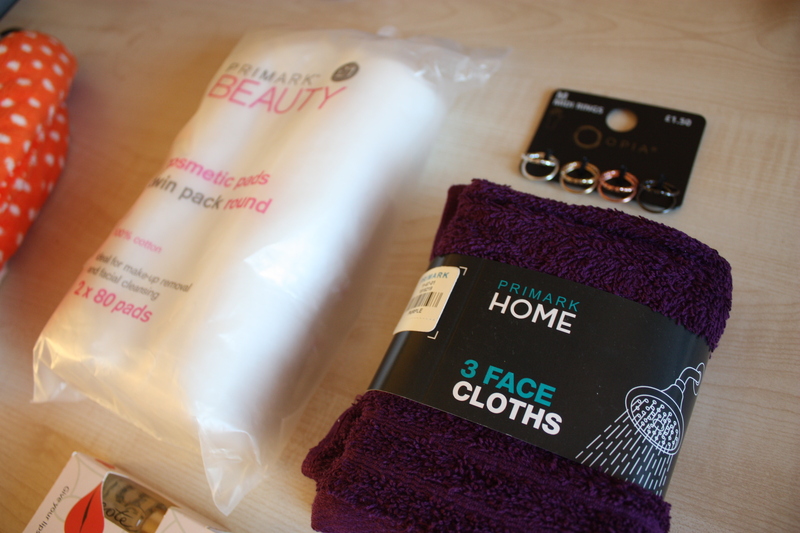 I made a cheeky, long awaited visit to Primark today – I only got a few little things that I like to call “Essentials”. I was starting to lose my patience in there after a while though, as there were so many people pushing and shoving – so I gave up! I think that I made a fair effort though! 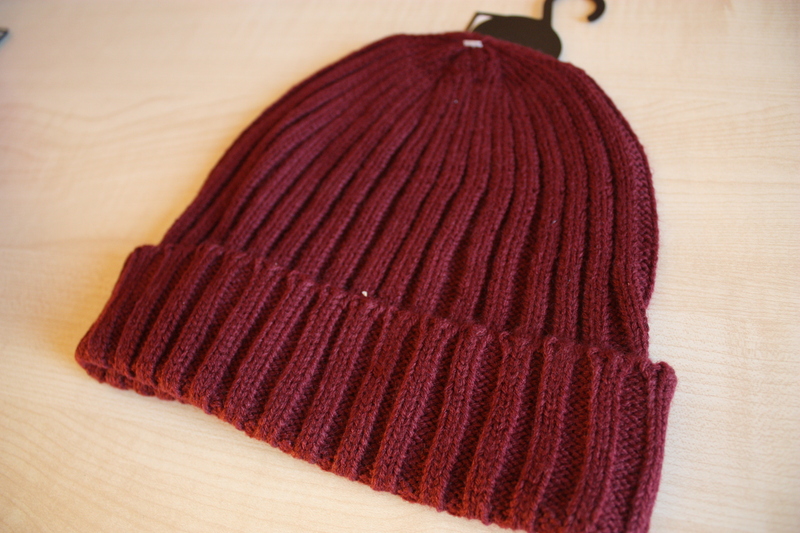 I initially went in there to get a burgundy beanie, but I came out with a few more items..
Firstly, I scoured the women’s department looking for their £5 jersey skater dresses – they didn’t have many there, especially in my size, so I didn’t purchase any sadly. But I did purchase two patterned tops, which have a longer back – I will be posting these tomorrow though when the light is better, and I will be able to take photographs of them whilst on! 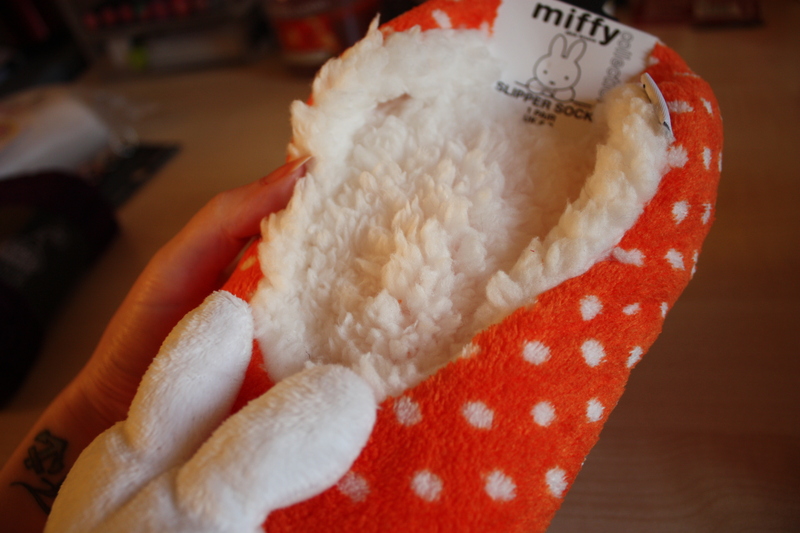 So, enough of the rambling – I found these adorable Miffy Slipper Socks, they were too adorable to pass! They are the softest object that I have ever placed my hands on! They were only £4 and have the rubber bobbles on the bottom aswell, so you won’t slip on any tiled/wooden flooring. 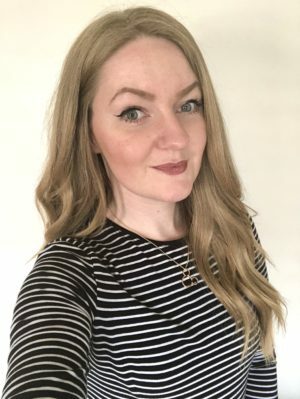 Then, I ventured into the beauty department and saw that they had 160 Small Round Cotton Pads for £1, which was a bargain – although I like to use the larger ones for my face, I tend to use these for nails or just removing mascara. 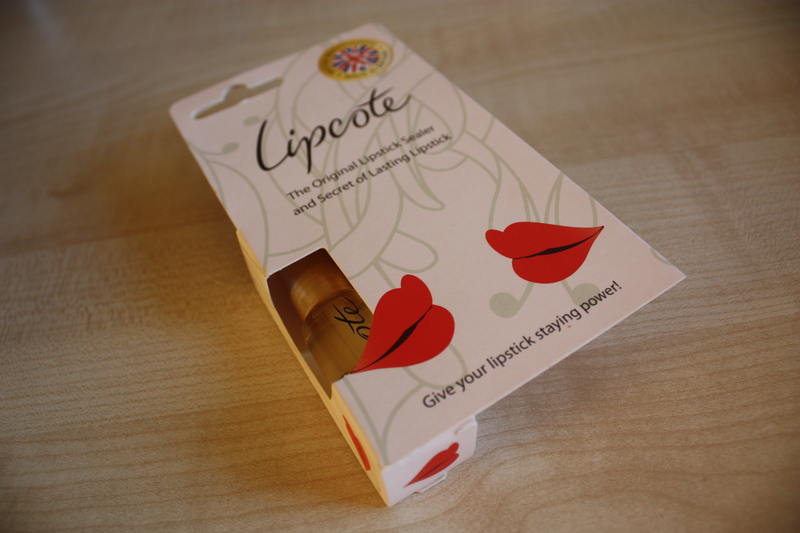 Whilst in that department, I saw that they still sell Lipcote for £2.70, which was a really good price! Lipcote is definitely a lifesaver when it comes to wearing lipstick – you apply your lipstick, blot the excess off and then apply this. It keeps your lipstick staying on for a lot longer, even whilst eating/drinking. I also picked up some ‘Face Cloths’ (£1.50 for a pack of 3), and I found the Midi Rings that I wanted for ages! They were only £1.50 for 8 rings – I didn’t look at the sizing on these though, so I have Medium instead of Small, but they’ll still be half-midi I guess! 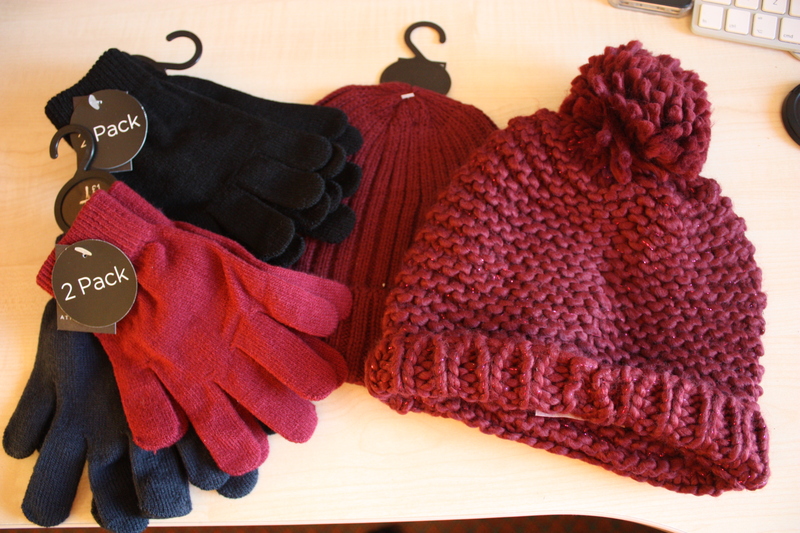 I finally found all of the hats/scarves/gloves – and I definitely had to buy A LOT of plain gloves! I am one of those people that forget to empty the contents of one bag, into another. So I end up leaving my gloves in another bag or coat, I now have no excuse for cold hands! 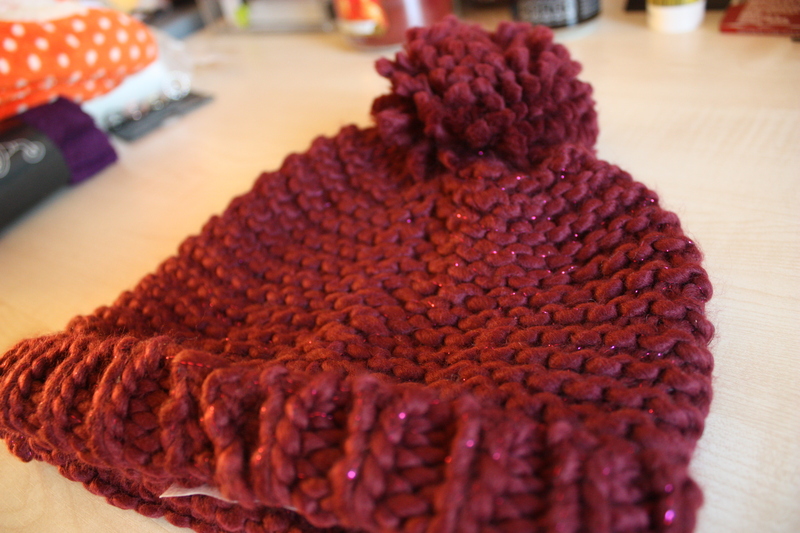 I also needed a new beanie that doesn’t swamp my head – I was going to purchase one from Topshop for a hefty £14, but when I saw these I thought that these would do, and I could get more than one! That’s practically it for my mini Primark haul, apart from the two tops that I will be posting about tomorrow for you! I will also be filming a haul video containing these purchases, and I shall make a London Vlog and Haul video at the start of next week! I will be posting the links on my blog and twitter accounts anyway, so keep your eyes out for these!